Peter has been in the livestock industry since 2000, working with two other Mudgee agents prior to joining McDonald Lawson in 2007. Prior to that he was a Bank Manager for 25 years. 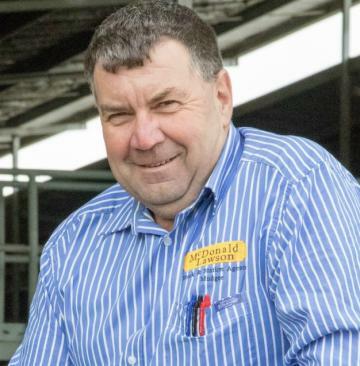 Peter is the McDonald Lawson Officer Manager and works in the sale yards on sale days. Peter is married with 4 children and 5 grandchildren. He is President of Mudgee Gulgong Wolves FC Inc. (Soccer Club), President Mudgee PCYC, President Mudgee Sports Council, Treasurer & Appointments Officer Mudgee & District Referees Association Inc. and assists each year in raising funds for charities at the Caerleon Court Santa Photos.